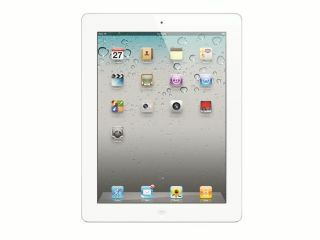 Thicker iPad 3 slated for 2012? After years of paring our smartphones and tablets down to the thinnest possible dimensions, Apple could launching a thicker iPad 3 and a larger iPhone 5 in 2012. The iPad 3 is bulking-out reportedly so it can house a higher-resolution display than the iPad 2 and the extra girth is all down to pixel density. As we previously reported, the higher pixel-density that Apple is apparently insisting on is going to cause some brightness issues. Another source previously claimed that the company will add dual LED light bars to counteract this, and this new rumour that the company is increasing the slate's thickness by 0.7mm could see that hold true. The iPad 3 release date should be around March some time (as usual), although the source reckons it "could be publicly shown as early as January". Presumably it will rock out the old 'I'm still carrying a bit of holiday weight' excuse if so. Back to the iPhone 5, and it looks as though 8mm will be added to the handset's length in order to cater for a 4-inch screen. iLounge's source adds that it will rock a metal body unit and land in summer 2012. That tear-drop design that we were expecting to see this October has apparently been done away with due to battery issues. Also reportedly coming in 2012 is the MacBook Pro redesign, which should see the beefy laptops slimmed down in line with the MacBook Air range. iLounge says this information comes from its "most reliable source" and fits fairly well with other Apple rumours that have refused to die; but we're not sure we can quite believe that Apple will deepen the iPad 3… the jury's out on this one.